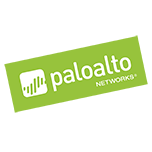 Palo Alto Networks is a next-generation security company that safely enables all applications and prevents advanced threats from achieving their objectives. Yerra has recently been invited to join their NextWave Partner network. The NextWave Partner Ecosystem is a community of world-class security experts and leaders who are committed to prevention and making breaches a thing of the past. Together we are providing a new approach to security that is rapidly gaining momentum. Security is the new competitive advantage fueling today’s digital business. Customers are drawing a direct correlation between security and the ability to empower employees to be more mobile, nimble and innovative. When it comes to securing their business, customers are coming to the realization that legacy security solutions can no longer protect them and are looking for a new approach. Since our inception, Palo Alto Networks has been focused on a prevention-oriented approach and provides our partners with the ability to sell the industry’s first, fully integrated Next-Generation Security Platform. If you are committed to breach prevention and want to provide your customers a unique approach to security, this is the ecosystem for you.